What's the meaning of a Chinese Name? It is said that the original purpose of giving each person a name was for convenience. Ancient people found that whenever It was dark, they couldn't see each other and they couldn't tell who's who. Each person was given a name, so that they could address each other easily, even in the dark. Later, people became more and more particular about their names. Under the influence of political,economic and other factors,people had different preferences at different period of time. 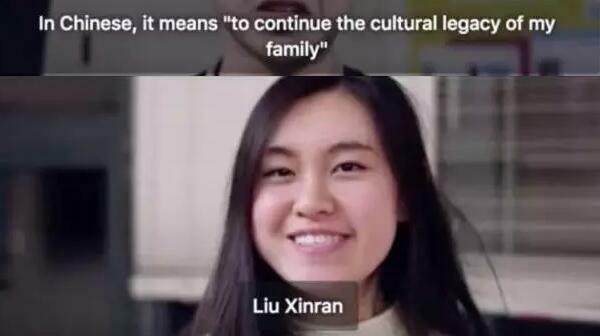 In China,most people's names have two parts,the family names and the given names. One person may have different names. For example, when they are very young at home,they usually have pet names. In school and society they use their formal names. If someone is a writer, he or she has a pen name. Most of the names have special meanings. Some show their parents wishes. Girls' names show that their parents want them to be nice. 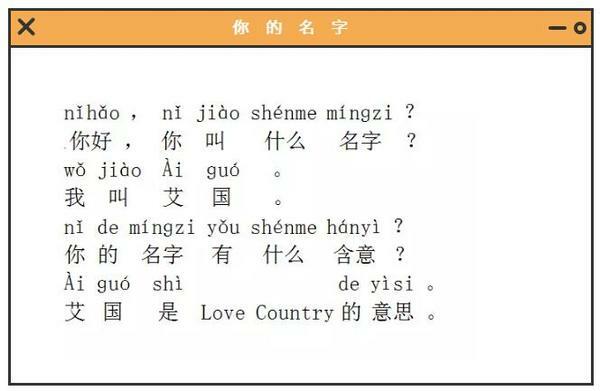 Next: 【Online Chinese Corner】I may be ill.